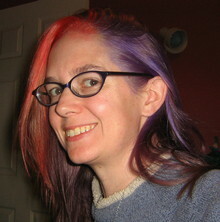 Mur Lafferty is one of the pioneers of podcasting – founder, producer, host, voice, editor, author. She has won the Parsec Award several times. Her Shambling Guide comedy-horror series is available from Orbit.